Bright and sweet citrus fruits like oranges and tangerines come into season in the warmer climes of North America during the winter months and bring juicy relief to winter diets. Citrus fruits begin to come into season in November and, for the most part, continue until June. look for oranges and tangerines that feel heavy for their size and have thinner rather than thicker skin for the variety. Store them in a cool but not chilled spot. Most of these are fabulous for eating out of hand but consider cutting them into "supremes" for a more elegant presentation. 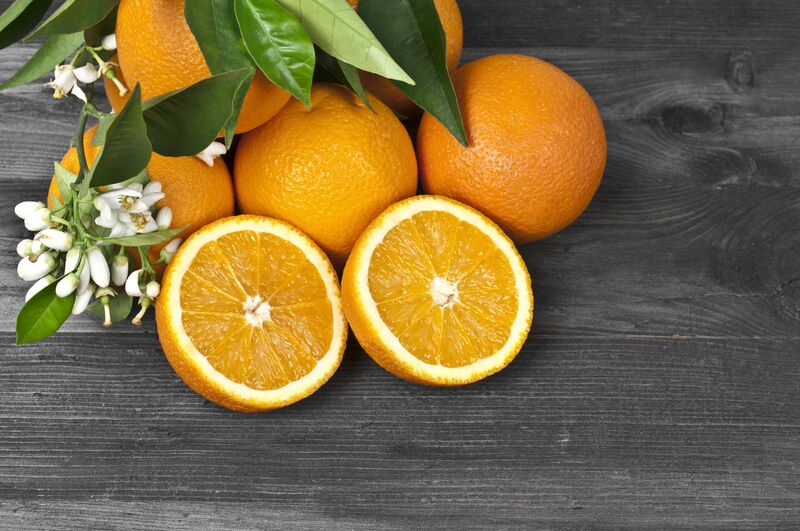 Oranges and tangerines are different varieties of the same species. Oranges are larger and tarter, while tangerines are, as a rule, smaller and sweeter. The skins of tangerines tend to be looser, making them easier to peel. Tangerines and clementines are classified as mandarins. 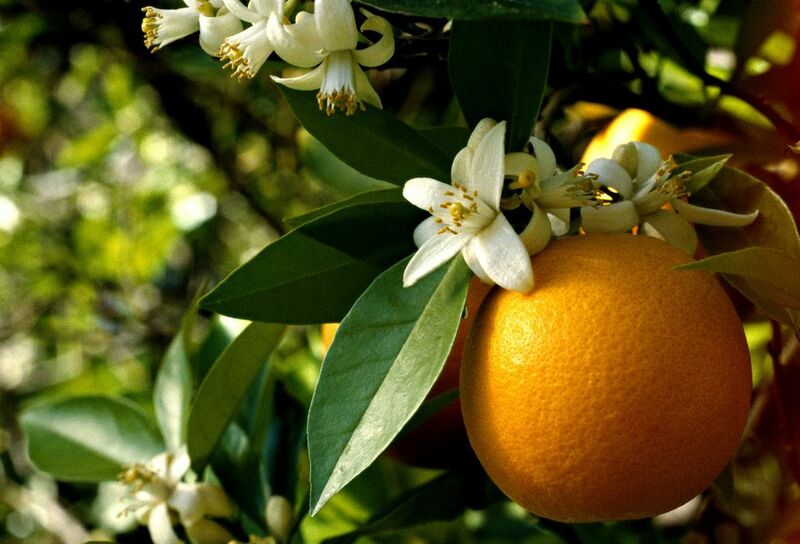 Clementines are the smallest member of the mandarin family. Blood oranges are famous for its deep red flesh. The inside flesh can vary in the depth of color. From the outside, it may or may not have a bit of red blush on their otherwise orange skins. This variety is a smaller orange, quite sweet, and best used as fruit (rather than juice), if only to show off its beautiful color, like in a citrus salad with mint. Blood oranges are not widely available in North America but can be found at specialty markets during its season from November through March. Cara cara oranges are wonderfully sweet navel oranges harvested in California between December and April. Its bright orange skin conceals interiors that are juicy and often just a bit pink—making it perfect for citrus fruit salads. It has low acid and a great zingy bite behind its sweetness and tends to have very few if any, seeds. Clementines (some marketed in the U.S. as "Cuties" or "Sweeties") are very small oranges and are much like tangerines in their honey-like sweet flavor. Its small size makes it best eaten out of hand. Their tight, shiny orange skins make them perfect for display and creating casual, edible centerpieces. Clementines are seedless. The smallest of commercially available "oranges" are kumquats. These magical little citrus fruits are a bit sour and have the magical element of edible peels. Eat it as is. Do not make the mistake of trying to peel this fruit. The peels are actually the sweetest part of the fruit. Kishus are teeny, tiny tangerines (they make clementines look giant). When at its best, this fruit is as sweet as candy. This fruit is usually available in February and March. Mandarins, often called mandarin oranges, are a small and sweet tangerine variety. They do have some seeds, which makes them just the tiniest bit less desirable for snacking than seedless clementines (a variety of mandarin). This fruit has one of the longest seasons from January to May. You may have had mandarins from a can, a popular canned fruit packed in syrup. But for a real treat, buy some fresh mandarins to taste how mild yet sweet they are. Navel oranges are the most common variety of orange that is eaten. Navels are sweet, seedless, and perfect for eating out-of-hand but also delicious in salads. Navel oranges are in season from November into June. Navel oranges have comparatively thick skins and a characteristic navel-looking mark on the not-stem end. Navel oranges are juicy enough to juice if you like. The juice tends to be so sweet, however, that it ferments easily, so you will need to use the juice within a few hours. Satsumas are tangerines and are considered a variety of small mandarin oranges. They are seedless and their skin is loosely attached to the fruit making them super easy to peel. This citrus fruit does not need to have smooth, tight skin when you buy it. Choose satsumas carefully, however, since the peel's looseness makes bruising difficult to detect. Like clementines, satsumas are seedless. The two are often marketed and sold interchangeably—although the difference is easy to detect since clementines have tight peels and satsumas have loose peels. Satsumas are relatively cold-hardy for citrus. This fruit's growth area has extended around the Gulf Coast in the U.S., although most satsumas come from California. This fruit is in season from November through January. Seville or sour oranges are perfect for making marmalade (since you need to add so much sugar anyway, their natural sourness works as a nice foil to the cloying jelly that can result from using too-sweet fruit). Seville orange juice is an excellent acid for cooking. Cocktails and salad dressings, in particular, can benefit from the greater range of flavor you get from sour oranges as compared to lemons or limes. This fruit tends to be small and has a short window of availability starting in December and ending at the start of February. Valencia oranges have thin skins, some seeds, and are very juicy. Valencias are the main type of orange used to make orange juice. These oranges are perfectly delicious to eat as fruit, you just have to watch out for the seeds.